The Lord Lieutenant Youth Awards – LLYA recognise and celebrate achievement of young people from across Ross, Skye and Lochalsh. 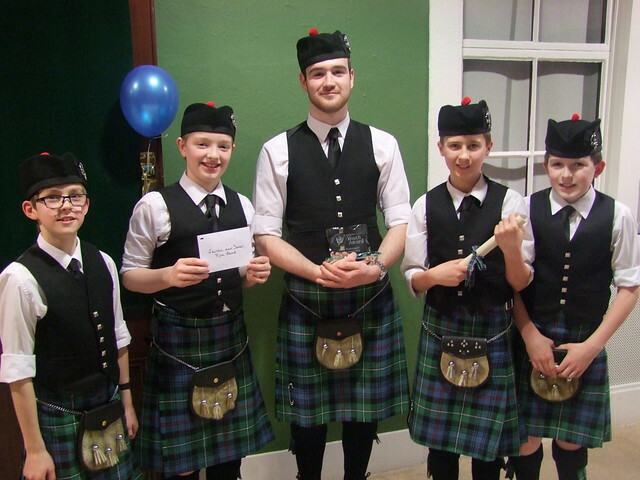 The young people of the Gairloch & District Pipe Band took home several awards, after successful nominations by the school, at a reception in Strathpeffer on 14th March. Pipe Major Fraser Wotherspoon (S6) was given the Lord Lieutenant’s Special Youth Award for his work in the Pipe Band in addition to his Highly Commended certificate in the Helping Others category. As a dedicated and respected leader Fraser has inspired other young people to not only pursue excellence in their piping but also serve their community through music. The Lord Lieutenant, Mrs Janet Bowen, chose Fraser as overall winner from all nominated young people in Ross, Skye and Lochalsh to receive the Special Award. The Gairloch & District Pipe Band also took home a Highly Commended certificate in the Group category. The nomination committee highlighted their commitment to turning out at events across the community, their pride in their status as Pipe Band member and their development over the last couple of years. The phrase, which was repeated most often, was “valued asset to their community”. Calum, Callum (S2), Matthew, Liam (S1) and Calum (P6, Bualnaluib) attended the ceremony along with piping tutor Gary Nimmo, drumming tutor David Richardson and Emma Smith (Geography teacher & piper). Well done all! Duke of Edinburgh GOLD Awards – We can announce that former pupils Gemma Urquhart and Isla Mackenzie have both completed their Gold Duke of Edinburgh’s Award. Congratulations to both for keeping up the considerable effort and commitment needed to achieve this. Their names will be added to the Honours board in the school hall. Scottish Rowing Winter League – Congratulations to all the pupils who participated in the Scottish Rowing Winter League. Gairloch rowers have won the league this term with a total of 295 points. Our closest rivals were Culloden Academy with 136 points. 25 pupils achieved top 5 finishes in round 3 dominating several categories including S1 Boys, S1 Girls, S2 Girls, S3 Girls, S3 Boys, S4 Boys, S4 Girls and S6 Boys. Well done – this is an impressive tally by our pupils. Results are available here on the website. Local school football derby – Plockton visited on Tuesday 22nd March for a junior game. The visitors won 4-3 so the Gairloch team has all to play for in the second leg. 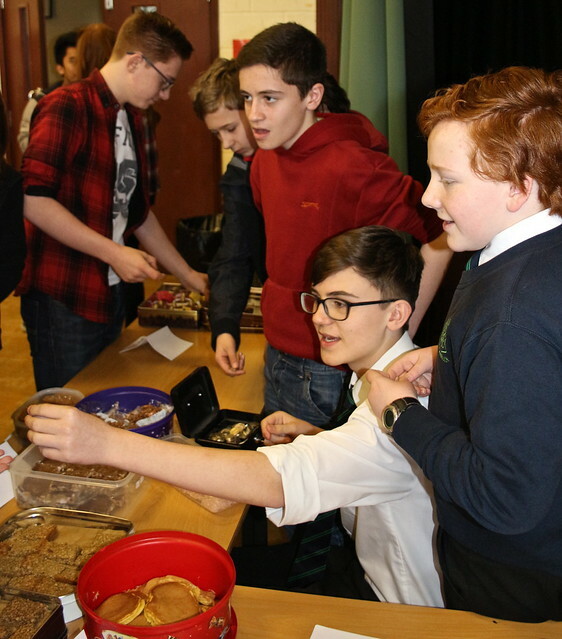 S1 Bring and Buy Sale – On the12th March Gairloch High School held their annual S1 Bring and Buy sale to raise money for the Cairngorm trip in May. The sale was a great success and you can read the full report by S1 pupils here. Sport Relief Fundraising – S6 organised a non-uniform and dodge ball event (staff v. pupils!) on Friday 18th March raising £220.02 for Sport Relief. Well done to all who helped to organise this event, particularly Deputy Head Boy, Referdinand Balanquit. Journey of a Lifetime for S6 pupil – Rowan MacKenzie was nominated for a ‘Journey of a Lifetime’. He was invited to Harrow in London for interview and has just heard that he has been successful in selection. Rowan will take part in an expedition to Indonesia and Northern Australia during July and August. Prior to this Rowan has to raise £650 and attend a preparatory weekend in May. This is extremely exciting opportunity and we wish Rowan well in this endeavour. There will be no school news in the next edition of Gairloch and District Times due to the Easter school holiday. School Meal Prices – Costs will be increased by 10% from Monday 11th April 2016. A set meal will cost £2.55. Prices of individual items are available on the Council website.